Our metal sheds are designed to deliver the top-notch experience our customers have come to expect from Dakota Storage Buildings. 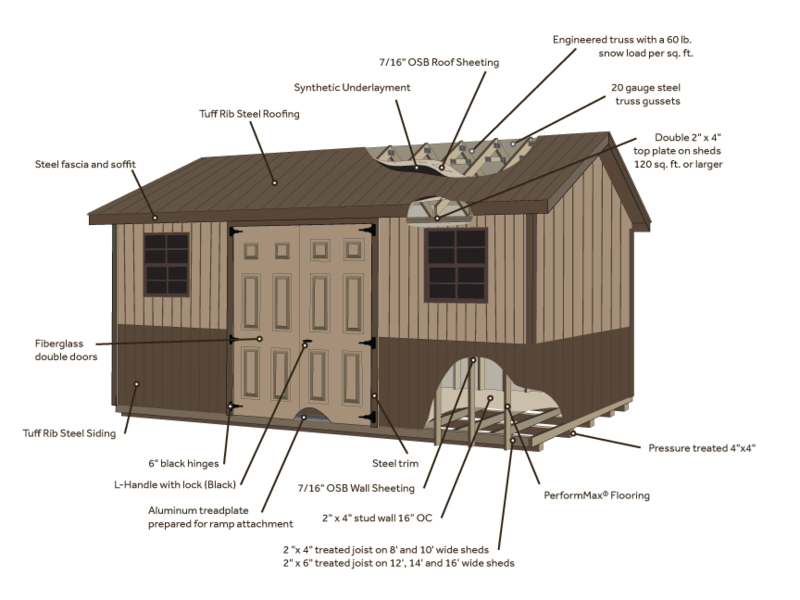 These sheds have Tuff Rib Steel Siding which is durable, long-lasting, and economical. Down to the flooring and pressure treated 4×4 runners, these sheds are built to provide many years of use and value!